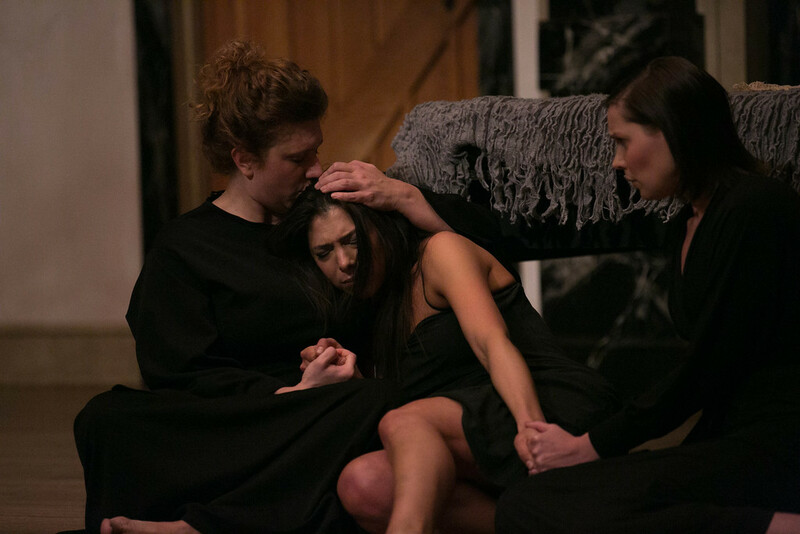 Abbi Hawk, Sarah Fallon, Allison Glenzer, and Tracie Thomason in THE MAID'S TRAGEDY. Photo by LINDSAY WALTERS. 2014. The cast of THE MAID'S TRAGEDY. Photo by LINDSAY WALTERS. 2014. Gregory Jon Phelps and Abbi Hawk in THE MAID'S TRAGEDY. Photo by LINDSAY WALTERS. 2014. 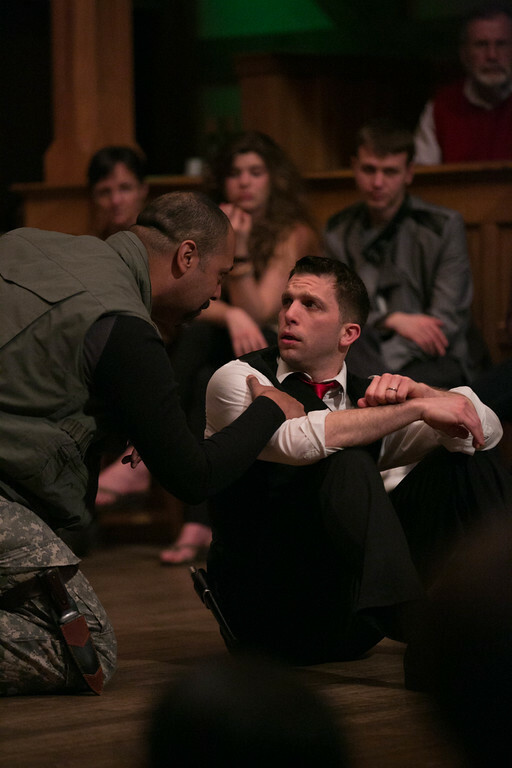 René Thornton, Jr. and Gregory Jon Phelps in THE MAID'S TRAGEDY. Photo by LINDSAY WALTERS. 2014. Allison Glenzer, Abbi Hawk, and Tracie Thomason in THE MAID'S TRAGEDY. Photo by LINDSAY WALTERS. 2014. 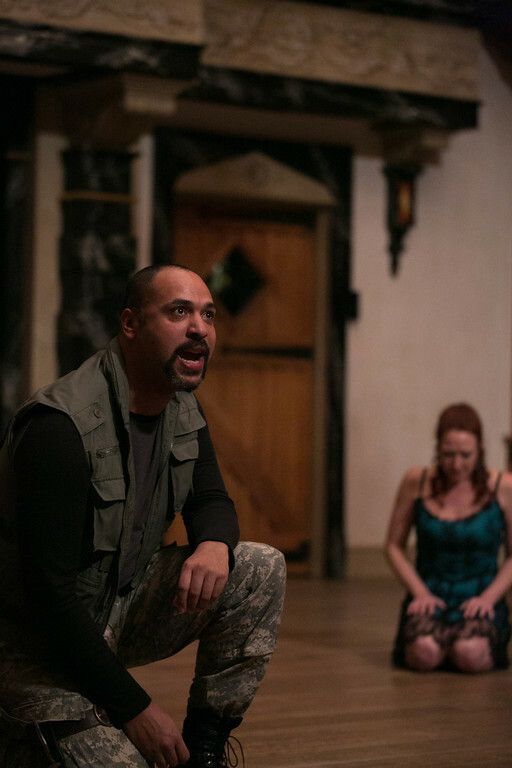 René Thornton, Jr. and Sarah Fallon in THE MAID'S TRAGEDY. Photo by LINDSAY WALTERS. 2014. 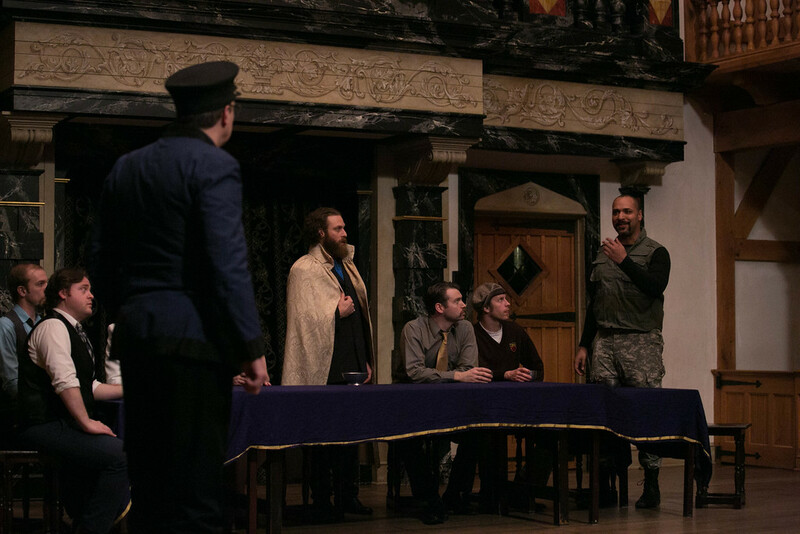 Andrew Goldwasser, Gregory Jon Phelps, Jonathan Holtzman, and the cast of THE MAID'S TRAGEDY. Photo by LINDSAY WALTERS. 2014. Sarah Fallon and Jonathan Holtzman in THE MAID'S TRAGEDY. Photo by LINDSAY WALTERS. 2014. 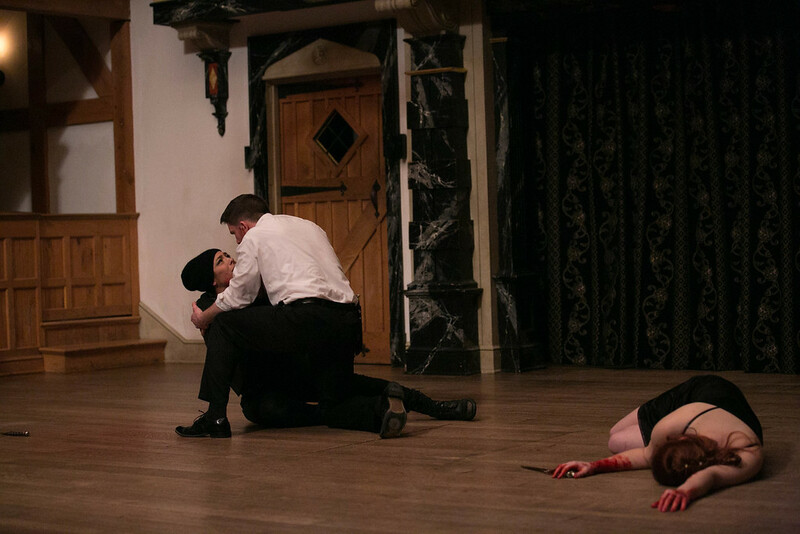 Abbi Hawk, Gregory Jon Phelps, and Sarah Fallon in THE MAID'S TRAGEDY. Photo by LINDSAY WALTERS. 2014. Melantius returns home to Rhodes and discovers that, at the behest of the King, his friend Amintor has married Evadne instead of Amintor’s former fiancée, Aspatia. Aspatia’s father, Calianax, rails at Melantius, blaming him for his sister Evadne’s marriage to Amintor. They are interrupted when the King arrives with Evadne to enjoy the wedding masque. Evadne reveals that the King is her lover and that he matched her with Amintor to protect her from scandal. Aspatia continues to mourn the loss of Amintor, forcing her servants to grieve with her. Melantius notices Amintor’s dejection and gets him to reveal the King’s plot. Melantius, in turn, plots revenge on the King. He asks his brother Diphilus and Aspatia’s father, Calinax, to help. Both agree, but Calinax immediately departs to warn the King. Dinner parties, bed tricks, regicide, duels, and death ensue. The play was first published in 1619, but the first performance date is generally agreed to have been between 1608 and 1611. 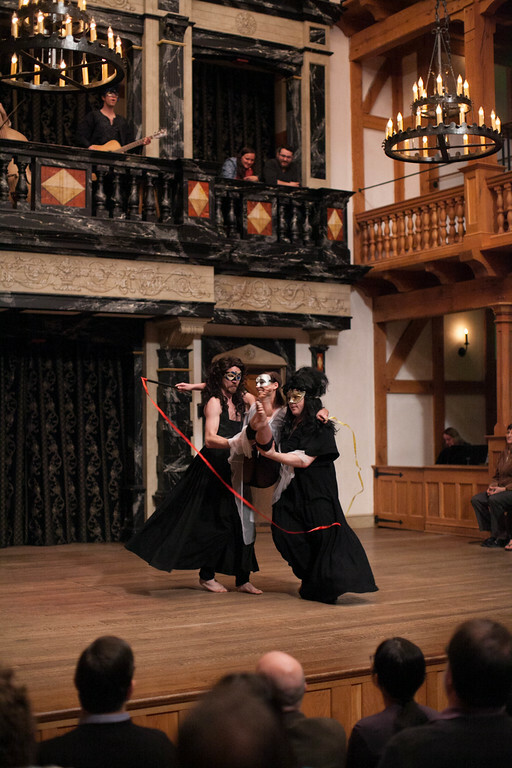 As a King’s Men play, The Maid’s Tragedy was likely first performed at the Blackfriars Playhouse. Francis Beaumont and John Fletcher. Francis Beaumont (1584-1616), the son of a prominent Leicestershire family, went to Oxford (at age 13) and later received legal training at the Inner Temple. He seems never to have practiced law but was active in London literary circles and, in 1607, he wrote The Knight of the Burning Pestle (which the ASC has produced three times). Like Beaumont, John Fletcher (1579-1625) came from a distinguished family (his father was chaplain to Queen Elizabeth) and he probably went to university. He collaborated with Shakespeare on Henry VIII and The Two Noble Kinsmen. Between 1607 and 1613, Beaumont and Fletcher teamed up to write some of the most popular plays of the day, all of them for Shakespeare’s company, the King’s Men. Beaumont married well and retired from the stage in 1613, but Fletcher continued as the King’s Men’s chief playwright until his death in 1625. 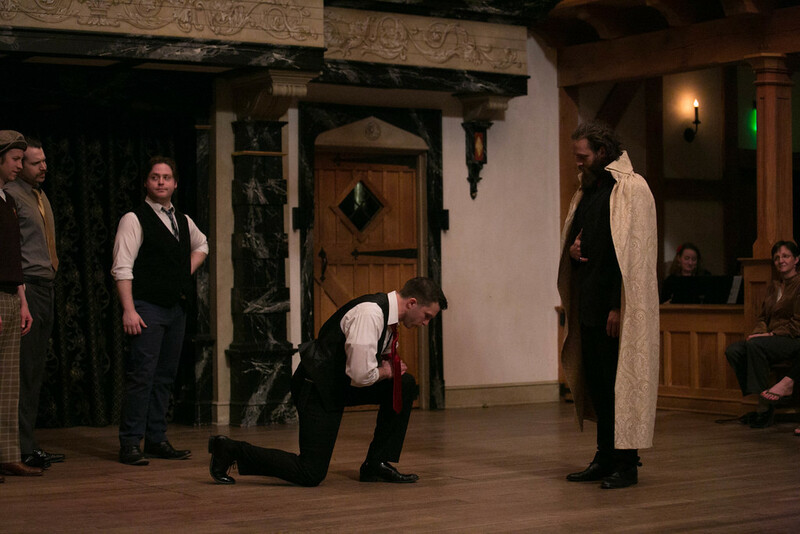 The plays of Beaumont and Fletcher usually work to make audiences temporarily uncomfortable but happy in the end (as you may have seen in our productions of their A King and No King and Philaster). Many of Shakespeare’s plays work in the opposite way. This play rather steadily and brilliantly works to our discomfort, and it does so through a heightened artificiality that is rare in Shakespeare. They mostly agree that The Maid’s Tragedy successfully merges romantic drama with revenge tragedy. ASC friend Andrew Gurr has edited the play and thinks the play is the rare early modern play with a completely original plot. Its exploration of the rights of kings and the extent to which a monarch can impress his will upon his subjects seems particularly apt in the years leading up to the English Civil War. Aspatia and Evadne stand out as two very different, but equally determined women in a world ruled by the wishes and whims of the men around them. The bedroom scene, due to its modern approach to bedroom games and its overturning of the bed trick tradition. Surprisingly modern and straightforward, with a fair amount of gallows humor.